30 January, 2014-All Projects, Water Well Assesment, and WWDC Projects. The City of Worland wellfield includes Husky-Worland Well No. 1 and Worland Well No. 3, both of which are completed in the Madison Limestone. These wells are among the largest municipal flowing well systems in the country and provide all of the municipal water for the City of Worland. 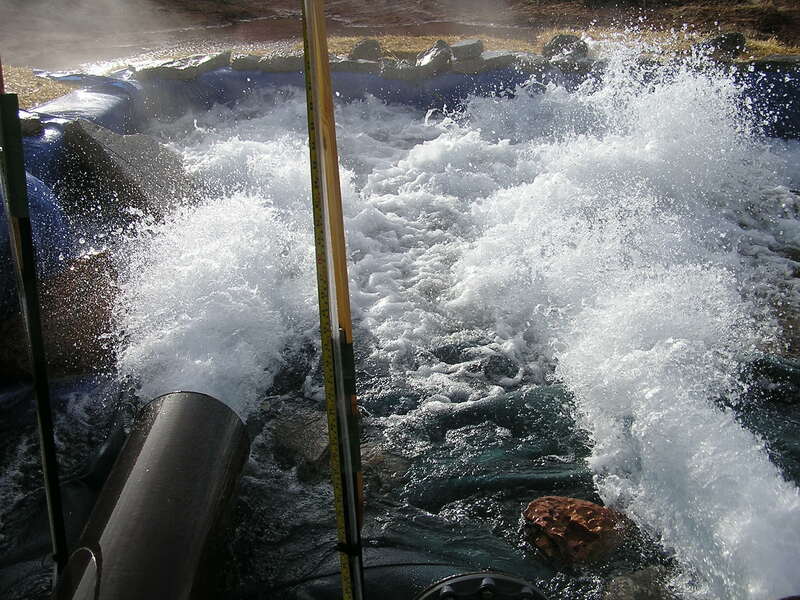 The Worland wellfield is one of the major sources of supply for the Bighorn Regional Joint Powers Board and it is anticipated that the system demands will increase significantly beyond present needs. The wells have never been systematically tested and the City feels that it is imperative to know whether the wellfield is capable of meeting the regional needs without overtaxing the system. 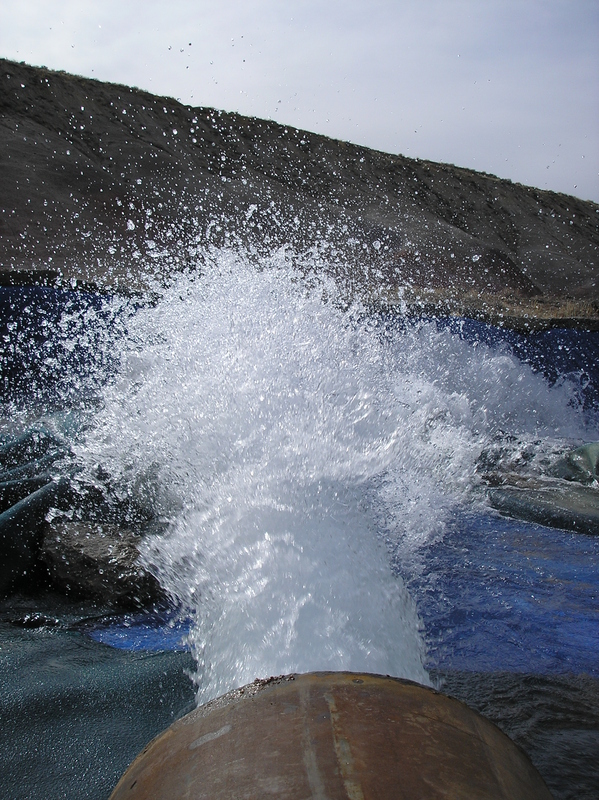 In response, the WWDC funded a study to determine the feasibility of conducting a flow test of each of the two Worland wells. Following successful completion of the feasibility study by WESTON, the contract was amended to include performance of the flow tests by Weston’s contracting division out of Upton, Wyoming. 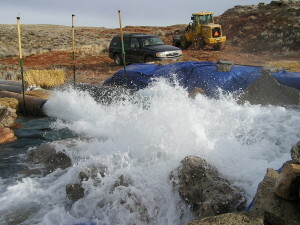 Based on the data review and a careful analysis of the Worland Wells during Phase I, WESTON recommended proceeding with Phase II of this project to determine testing methodologies, develop cost estimates, continue identification of permit requirements with affected federal and state agencies, and determine the best method for funding testing operations. 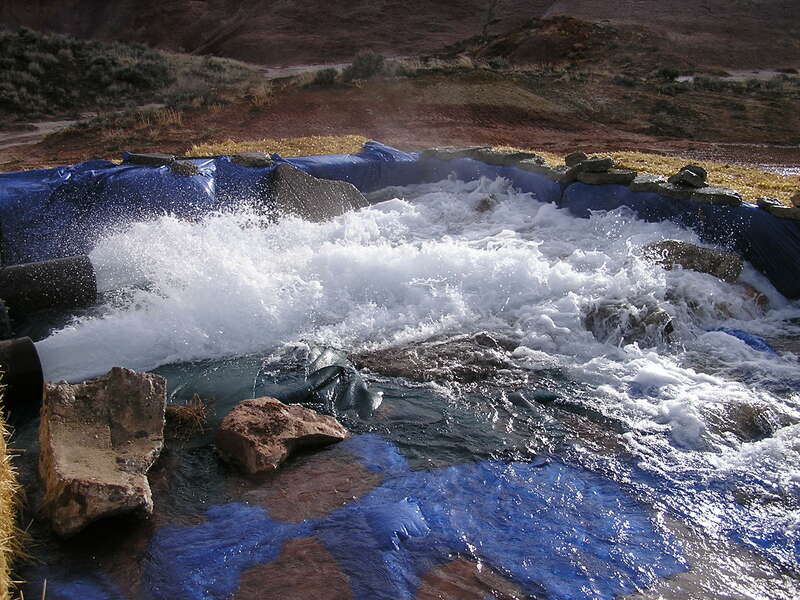 Because of the importance of assessing well integrity prior to flow testing to alleviate fears of well collapse or damage to the formation, WESTON recommended that the following tasks be conducted prior to implementing Phase II of this project. Perform a video log of Worland Well No. 3. The logging activities listed above were conducted on September 30, 2004. Based on a review of available well construction details, the video and bond logs of Husky-Worland Well No. 1 and Worland Well No. 3, and inspection of above-grade piping and the drainages surrounding the wellhouses, WESTON determined that testing of the Worland municipal wells was feasible and should be conducted. 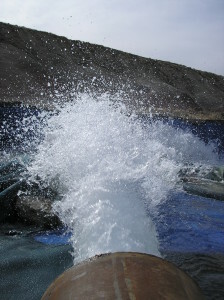 WESTON’s contract was amended by WWDC in 2005 to include performance of the flow test. 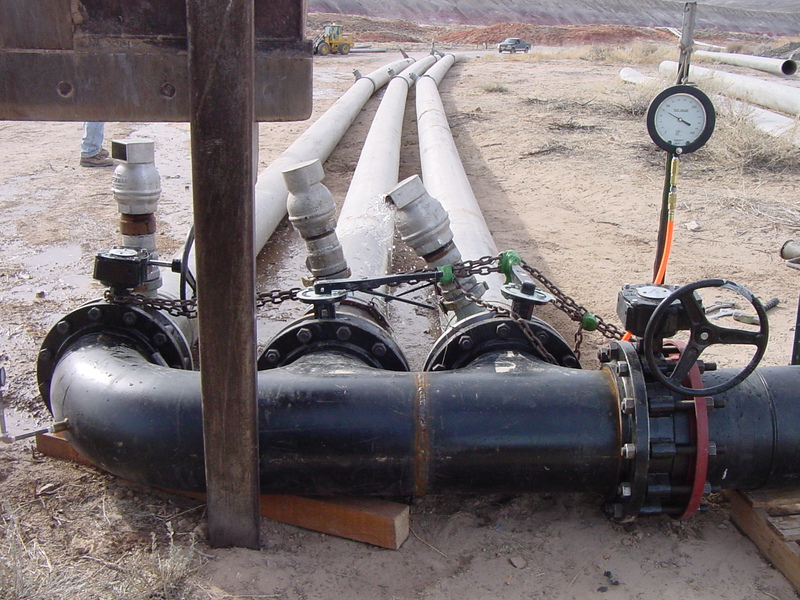 After obtaining the necessary permits and access agreements, WESTON’s contracting division out of Upton, Wyoming successfully conducted a flow test program on Husky-Worland Well No. 1 and Worland Well No. 3 during the spring of 2006. The testing program indicated that the wells are highly productive but not as prolific as represented in the past. Although it was determined that the wells can meet the average daily demand for both the City of Worland and the Big Horn Regional Join Powers Board for at least 20 years, WESTON recommended that wellhead pressure data for the Worland wells and other Big Horn Region Madison wells be monitored on a regular basis and reviewed periodically for indications of unexplained pressure drops.